The "roadshow" is a time-honored ritual of initial public offerings (IPOs), when a venture's top executives meet with institutional investors and explain why they should buy shares. 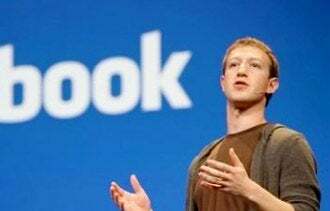 Facebook is expected to step into this fray early next week and, to paraphrase TV icon Ricky Ricardo, CEO Mark Zuckerberg has some splainin' to do. Before getting into the details of what Zuckerberg needs to make clear, it's worth noting whom he'll be meeting with at these roadshow presentations. Despite a company's supposed quiet period before going public, institutional investors get unfettered access to the firm's top management right before shares are issued. They discuss the company's prospects and try to generate a buying fever. So when Facebook executives, with or without Zuckerberg, fly to Boston, San Francisco, Chicago, Baltimore and possibly Los Angeles, you might think everything would go swimmingly. But that might not be the case. Facebook wants to sell shares for a price between $28 and $35 a share -- that if it went public at the midpoint of that range -- would value every dollar of Facebook's $1 billion in net income at 86 times that amount, or about $86 billion. One rule of thumb I use to value publicly traded stocks is the Price/Earnings to Growth (PEG) ratio. If a stock's P/E exceeds its earnings growth rate, then it's too expensive. And if its P/E is lower than its earnings growth rate, the shares are attractive. On this basis, Facebook shares are enormously overvalued, especially since first quarter earnings fell 12 percent. What's more, Facebook's annual revenue growth rate, while still 45 percent, is half of what it was in 2011. And therein lie the challenges Zuckerberg will face if he attends the roadshow presentations. 1. How can Facebook grow as its novelty wears off? Facebook's novelty is gone, and growth has been steadily slowing. That social networking site attracted 8.39 users per second from July 2010 through March 2011, but only five per second from September 2011 through December 2011, according to Facebook ad testing and management system Optim.al. 2. How will Facebook deal with faster growing competitors? It isn't as if the rest of the world is standing still. After all, Pinterest, the new kid on the block, reached 10 million users in December 2011 -- a faster growth rate than that of any other social network. And those users spend more time on Pinterest (77 minutes) each month than on Twitter (36), LinkedIn (17), and Google+ (6) combined. But to be fair, it'll be a while before any of them catch up to the large amount of time (6 hours and 33 minutes) users spend on Facebook. 3. How will Facebook grow if users hate advertising? An informal survey I conducted with about 80 Babson College juniors and seniors found that almost all of them do not want to see advertising on Facebook. Moreover, many of these students told me that if Facebook increases advertising, they will stop using it. This is not exactly a scientific analysis, but it does beg the question of how Facebook is going to increase advertising revenues if more ads cause users to defect. 4. How can Facebook grow as young users move into the workforce? Considering that many of Facebook's younger users hope to be moving into the workforce soon, many of them will likely spend a lot less time on the site. After all, with the U.S. unemployment rate still above 8 percent, wasting time reading so-called newsfeeds might not be advisable. 5. Will Facebook lose users who fear their pages will disqualify them from a job? The career risk of being on Facebook could be another impediment to its growth, given the difficulty of protecting your private information and the barriers to erasing your Facebook footprint. With many recruiters now snooping on Facebook pages, sensible people may decide that posting pictures of drunken revelry isn't worth losing a job opportunity. One-fifth of applicants "disqualify themselves from an interview because of content in the social media sphere," according to the U.K.'s DailyMail. Facebook shares should be heading to $60 or higher when it goes public later this month. But unless Zuckerberg can answer these questions in a convincing way, the average investor might want to steer clear.